7) With Low Latency Filter selectable, De-emphasis on/off control, and pre-allocated space for diyier to install extra low ESR Tantalum capacitor for each DAC power supply pin. 11) PCM5102A Integrated High-Performance Audio PLL can Generate MCK Internally with BCK as reference. i.e. 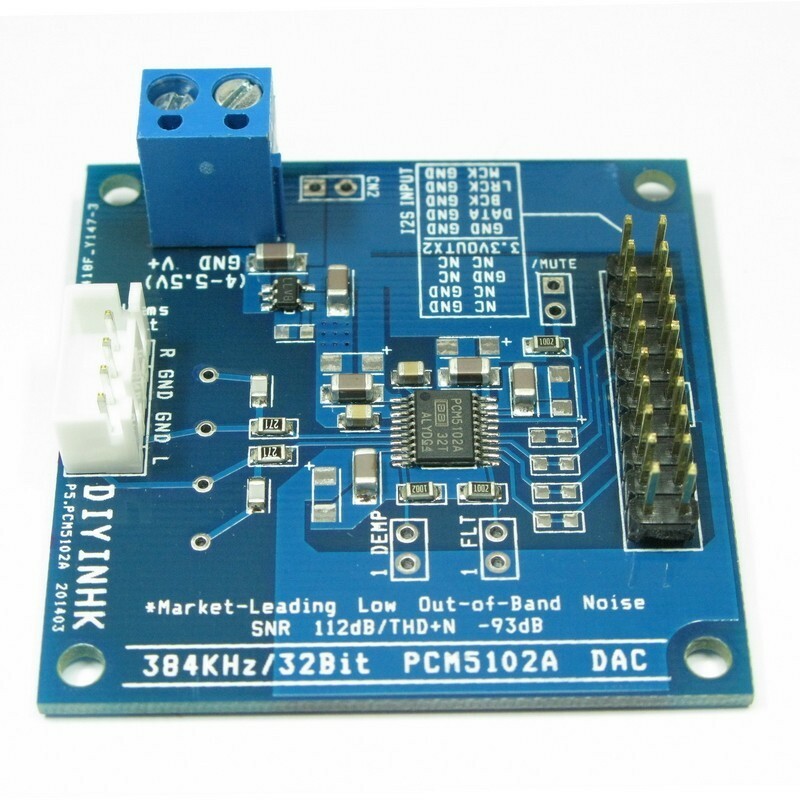 i2s only need three wire bck, lck and data to connect when used with source without MCK such as Raspberry Pi.